It might take a special meeting to give the overdue report consideration. The most ardent Council watchers were refreshing their browsers to see the report scheduled to be attached to EX 18.1, Transit Network Plan Update and Financial Strategy. But it never came. The item to be addressed at the mayor’s Executive Committee is one of the most important this term. This analysis of Toronto’s transit network and long-term plan would also ask the very pesky, eternal question: how to pay for all this? And, well, we don’t have an answer. These staff reports are important and detailed; they can’t be read and understood in a few minutes, and they should prompt lots of follow up questions. This report should also inform the feedback that the public gives to Council, and how Council makes its decisions. It also can’t be deferred indefinitely—the province needs a commitment from Toronto on SmartTrack stations before November 30, and there’s only one Council meeting before then. Typically this would go to Executive, where it would be reviewed and sent to the Council meeting in two weeks. But because of ongoing negotiations with the Province, the item was withdrawn from today’s Executive Committee debate. This doesn’t bode well. Too many transit decisions have been made with insufficient information or with inadequate time to fully analyze the information at hand. And this study will be particularly complex—it’s not just looking at the one-stop Scarborough Subway Extension, or SmartTrack, or financing, but the whole package. That’s a lot to process even with reports meeting their schedules. Although we still aren’t sure about the details that are causing the delays, the report could be debated at a special meeting before November 30. 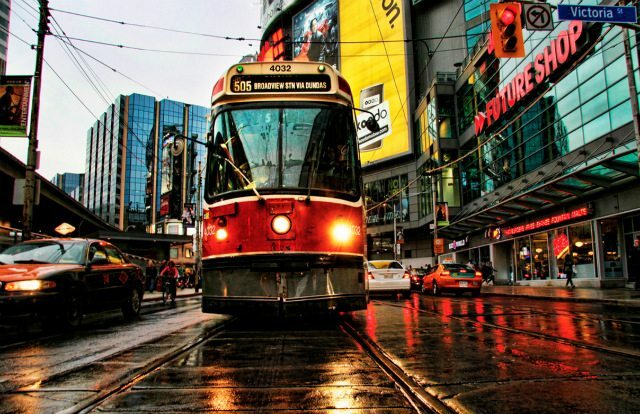 Regardless, Toronto’s transit debate deserves better. @jpags But yes, extremely unusual to leave pulling the report so late. We would have had media briefing + mayoral presser by now. Tory notes negotiations with province ongoing and they didn’t want to put item on agenda with no time for public, members to read. Clock is ticking though. Province wants city’s commitment for SmartTrack stations by Nov 30, and there’s not another exec mtg before then. It’s not clear how the report will get to council in time for that deadline.